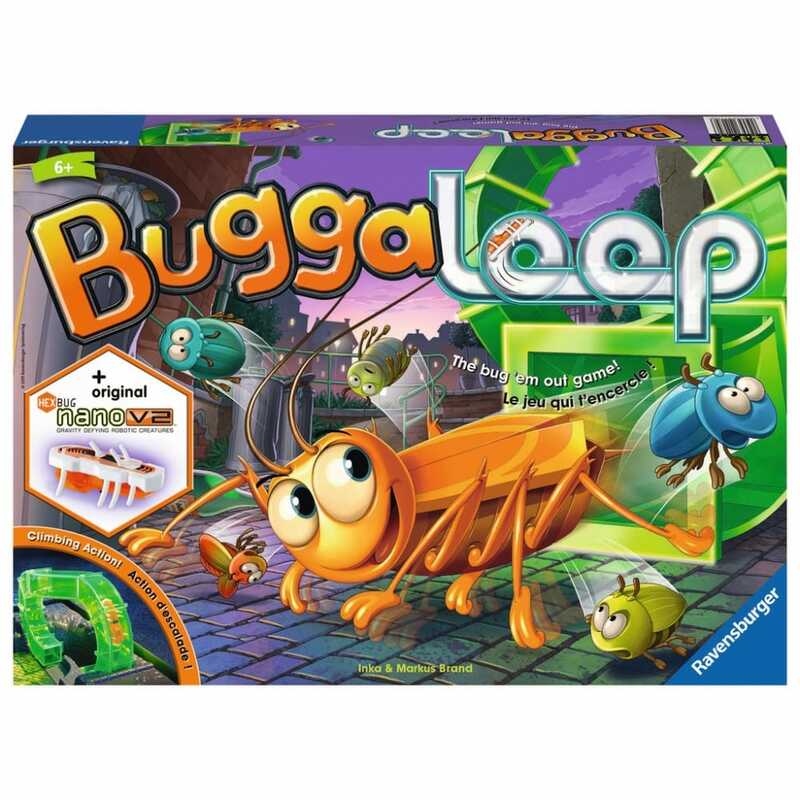 Transport all your bugs to safety to win the bug scramble! Watch out! There's a HEXBUG in the yard and it's coming for you! Players take turns rolling the die and moving their bugs safely across the yard, until the HEXBUG emerges from the tunnel trying to bump them off of the board. Stay standing and continue down your path - get bumped and you'll have to start from the beginning again! The first player to transport all of their bugs to safety wins this buggy scramble! 1. Roll the die and move one of your bugs one of the free spaces. 2. Watch out for the HEXBUG! If he bumps your bug off of a space, you're back to the start. 3. The first player to move all of their bugs to safety wins the game! Good quality and price. Quick delivery.